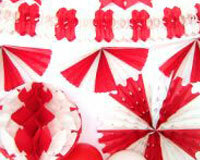 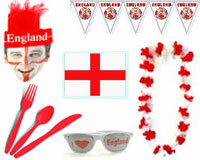 England & St. George's Party Ideas are all here at Novelties Direct. 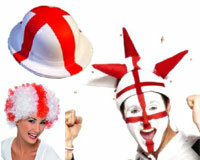 Wheteher you are planning a party to celebrate St. George's Day or cheering on England playing football we have lots of suggestions for you. 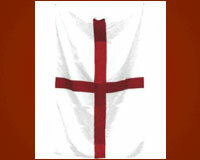 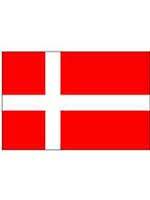 A themed England party at home or in a pub or restaurant will have a fantastic atmosphere with the England Flag flying. 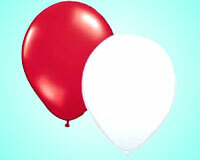 Red & White Balloons arranged in bunches or standing alone look bright and impressive and are a great addition to a St. George's Day Themed Party. 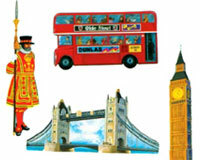 Wearing Hats and masks help to get any crowd going in a relaxed way, St. George's Bowlers and Boaters are always a favourite.